The following individuals have taken a professional interest in SuperNotecard and helped to make it what it is today. 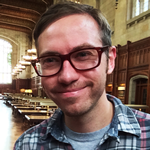 Justin Piasecki is a recipient of the Academy Award’s fellowship. After attending New York University for film, and having worked in advertising at MTVnetworks and Nickelodeon, Justin moved to Los Angeles and now works in commercial copywriting, original screenplays and studio rewrites. 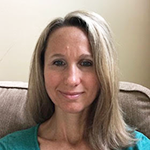 Kristine Arthur has been an educator for 23 years with Valparaiso High School in Northwest Indiana. She began her career as a social studies teacher, teaching US history, world history, and world geography. Her career path changed after earning a Masters of Library Science in 2011. At that time, she began serving as Valparaiso High School’s media specialist. “Last November I finally got my PHD. I strongly believe that without SuperNotecard it would have taken much much longer and the quality of my work would have never been the same. I owe a huge debt of gratitude to Mindola for developing a product that was sorely missing. I hope more researchers start using SuperNotecard, their work would benefit greatly from it”. T. Woody Richman edited Fahrenheit 9/11, Capitalism: A Love Story, and was associate editor of Bowling for Columbine. He has cut many other documentaries, among them American Crossroads (2010), Unstrung (2007), and Odyssey in Rome (2005). 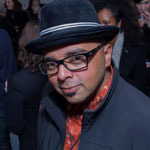 Woody began his career working as an assistant editor in the cutting rooms of Nick Gomez, Spike Lee and Oliver Stone, and has cut several other independent fiction features, including Sooni Taraporevala’s Little Zizou, and Destination Unknown, winner of the Hamptons Film Festival. 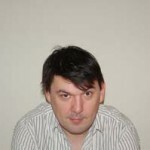 Graham Linehan is a television writer, actor and director who has written or co-written a number of popular television comedies. He is most noted for his involvement in Father Ted and The IT Crowd. 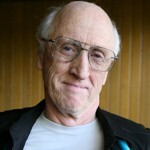 Stewart Brand is an extraordinary creative force. He founded/co-founded the Trips Festival (1966), Whole Earth Catalog (1968), Hackers Conference (1984), The WELL (1984), Global Business Network (1988), and The Long Now Foundation (1996). He’s written several books including Two Cybernetic Frontiers (1974), The Media Lab (1987), How Buildings Learn (1994), The Clock of the Long Now (2000). Mr. Brand also started/co-started New Games (1973), CoEvolution Quarterly (1974), Uncommon Courtesy (1982), GBN Book Club (1988), All Species Inventory (2001), and Long Bets (2001) and Seminars About Long-term Thinking (2003). 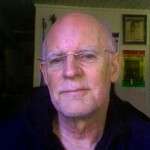 Wayne Thomas Batson is the Bestselling author of five adventure novels including the fantasy-themed Door Within Trilogy and the pirate duology Isle of Swords and Isle of Fire. His books The Final Storm and Isle of Swords reached Number 2 on the Young Adult Bestseller List. Batson believes his books appeal to so many kids and adults because, at a deep level, we all long to do something that matters, and we all dream of another world. 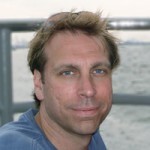 Kim Barry Brunhuber is a Toronto writer, reporter and documentary filmmaker. 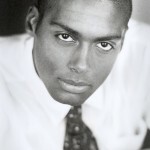 His first novel Kameleon Man was a finalist for several awards. His TV pieces have aired across North America and Europe, and his articles have appeared in newspapers and magazines in the U.S., Canada, and South Africa. Mr. Derochie’s writing experience includes the feature film TIME RUNNER, produced by North American Pictures. His digital effects work is showcased in the Oscar nominated films SPIDERMAN, SPIDERMAN 2, STUART LITTLE, HOLLOWMAN, and THE LION THE WITCH & THE WARDROBE. Mr. Derochie has recently signed a production deal to direct the feature film SOLITARY based on his own script. 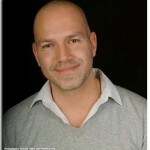 His full credits can be viewed at www.formationfilms.com. Daniel Schwabauer is a novelist, playwright and speaker. His professional work includes radio scripts, short stories, newspaper columns, comic books, stage plays, non-fiction ghost writing, and scripting for the PBS animated series Auto-B-Good. 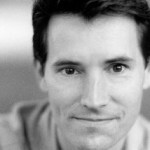 His young adult novel Runt the Brave received the 2005 Ben Franklin Award for Best New Voice in Children’s Literature. 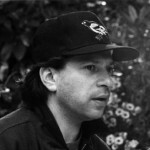 Alan Shapiro has been making movies since he was 12, began his formal education at New York University Film School, and launched his career after winning Best Student Film at Cannes. Alan has written and/or directed numerous programs for television including: TIGER TOWN, CROSSING THE MOB, THE BLUE YONDER, and S.E. Hinton’s THE OUTSIDERS. Shapiro also wrote/directed the feature film, FLIPPER, starring Elijah Wood & Paul Hogan, and another for Warner Brothers starring Alicia Silverstone called THE CRUSH. “I’ve always been primitive about the tools of writing. Because it’s not about the hardware or software. It’s about a good story. Period. However you get there. I type on a 1926 Smith-Corona, flesh out scenes on a legal pad, and structure my story with 3×5 cards on a corkboard. 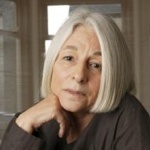 Jenny Diski is a regular contributor to The Observer and the London Review of Books. Her first novel, Nothing Natural, the story of a single parent locked in an abusive relationship, was published in 1986. Subsequent novels include Rainforest (1987), Then Again (1990), Happily Ever After (1991), and The Dream Mistress (1996). The Vanishing Princess (1995) is a collection of short stories. More recently Diski has written an autobiography, a book of essays, two television plays and a non-fiction work entitled, On Trying to Keep Still (2006). 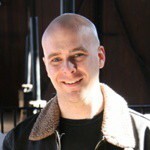 Daniel Marcus has published around twenty short stories and was a finalist for the John W. Campbell Award for Best New Writer. His short fiction has been nominated for the Pushcart Prize and placed in the Asimov’s Readers’ Poll Top 10. His non-fiction has appeared in Wired, Boing-Boing, the San Francisco Chronicle, and elsewhere. 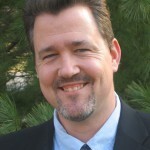 Dr. Marcus has taught in the creative writing programs at the U.C. 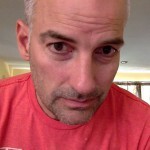 Berkeley Extension and San Francisco’s Writing Parlor; he’s currently a member of the online faculty at Gotham Writers’ Workshop and is a graduate of the Clarion West Writers’ Workshop. 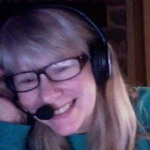 Nancy Hayfield Birnes founded Shadow Lawn Press and cofounded Filament Books, a growing ebook publisher and electronic book club in partnership with eBook Technologies, Inc. and Premier Radio. 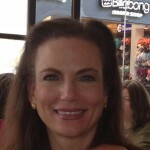 She is the editor of two editions of the McGraw-Hill Personal Computer Programming Encyclopedia, and has written two cookbooks: Cheaper and Better and Zapcraft. Her first novel, Cleaning House, has been translated into six foreign languages and has been published in nine countries. She is currently a director and the editor-in-chief of UFO Magazine, an international monthly publication devoted to the study of things that go unidentified in the night. 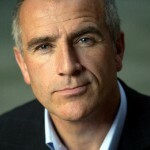 Jonathan Gornall is a freelance UK journalist, author and former feature writer and columnist for The Times of London. Microwave Man, his laughable semi-autobiographic memoir of a newly single fortysomething male (which for legal reasons he prefers to call a comic novel) was published by Penguin in 2006 and continues to bottom-feed in the Amazon ocean of sunken dreams. Jonathan also works as an investigative journalist specialising in medical and social issues, about which he has written for various UK publications including The Times, the Guardian and the British Medical Journal. Edward Savio a screenwriter, novelist and director with over half a dozen script sales to major Hollywood studios, including SWISS FAMILY RUBINSTEIN, THE ROYAL PAIN, and BOOK ‘EM. His books include “Idiots in the Machine” and the “The Velvet Sledgehammer”. Edward is completing a feature length documentary entitled “Get a Job!” about his attempts to find the best job in the world. Christopher Hopper is a published author, recording artist, record producer, motivational speaker, and pastor. His books include “Rise of The Dibor” and “The Lion Vrie” and he has 9 record albums to his name. His various business and academic interests take him around the globe, perpetuating his desire to have a positive impact on world culture and inspiring people to lead meaningful lives. Hyan Thiboutot is a professional scriptdoctor for production companies around the world. Cutting his screenwriting teeth in the studio system of North America, he is the “Go To” guy for all things screenwriting. 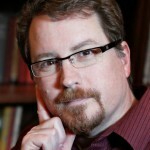 Bill Henderson is a novelist, veteran teacher, and internet-based fiction writing coach. 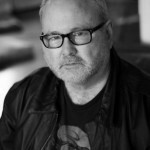 His work includes the novels “I Killed Hemingway” and “Stark Raving Elvis.” He maintains the professional fiction writing blog, “Write a Better Novel”. While I don’t belong on this page, I have a little story to tell about how this notecard program was born. In 2004 I had a terrible time keeping track of a plot and all the juicy details surrounding my then masterpiece about a kid with the ability to move small things like mugs and socks an inch in an hour. So I skipped the masterpiece and began work on a program to help organize unwieldy writing projects. I called it Miss Lonelynotes in honor of Nathanael West’s Miss Lonelyhearts. Later, with more features and a user-base as interested in researching molecular biology as they were in writing about fictional uncaring advice columnists, I settled on the program’s current name, SuperNotecard. Thanks to all of the writers, and particularly those on this page, that have shared their ideas and encouraging feedback. "Since this entire structure, dimly illumined in one's mind, can be compared to a painting, and since you do not have to work gradually from left to right for its proper perception, I may direct my flashlight at any part or particle of the picture when setting it down in writing. I do not begin my novel at the beginning I do not reach chapter three before I reach chapter four... This is why I like writing my stories and novels on index cards, numbering them later when the whole set is complete. Every card is rewritten many times..."